Tower Hamlets Health and Fitness event for the women in the borough. Opportunity to be in an motivational environment where knowledge and importance of exercise and healthy eating can be reinforced. 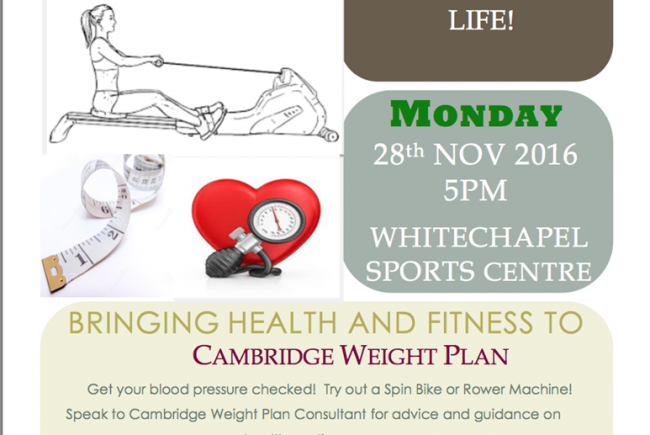 This event will be run in conjunction with GLL, Whitechapel Sports centre. Where women will be encouraged to attend for information on activities, exercises, healthy food, and portion sizes. They will have an opportunity to try different exercise machines such as the Spin Bikes, Rower Machines, and more. They will have the opportunity to speak to member of GLL staff on the benefits of exercise and and CWP consultant on healthy eating. This will encourage women to attend the event where they will have an opportunity to speak to fitness professionals and information on healthy eating by cwp, which is more affordable weight loss programme in comparison to some of the other programme available in the market. My interest lies in public sector with over 20 yeas experience. I take pleasure in assisting, improving and changing my and lives of people around me for better. Whether through fitness (as a cyq qualified fitness trainer) or as an Independent Cambridge Weight Plan Consultant) advising on healthy eating, losing weight through support and motivation. Creating an environment where knowledge and support are accessible especially for those who are in deprived areas. I have always been into fitness and activities, cycling to work, swimming and skiing are some of the hobbies that I enjoy immensely. My personal mission is to bring health and fitness to life! And in 2017, I commit to helping at least 100 women reduce weight to a healthy BMI, by incorporating healthy eating habits and fitness in their life. I see my program as assisting and educating women so that the next generation can also benefit from their learning. 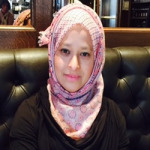 Project Delivery Manager: Junu Begum The Project Delivery Manager takes legal responsibility for receiving and spending the funds raised and ensuring the project is delivered.